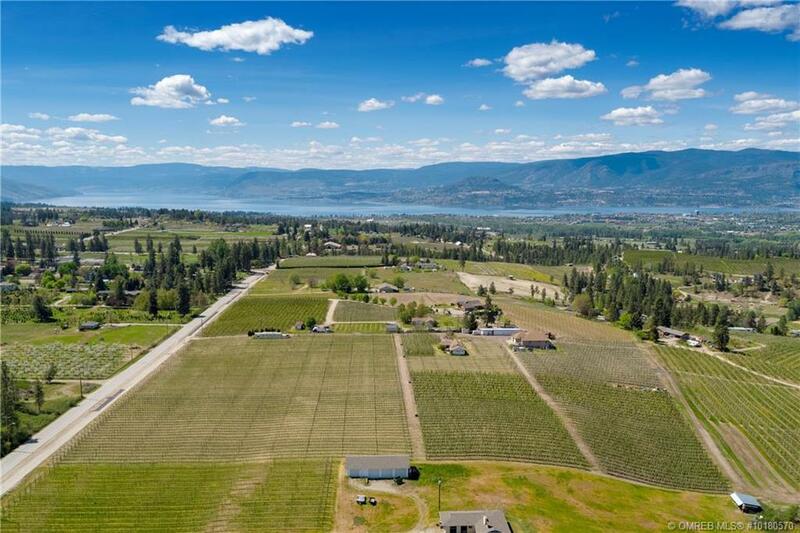 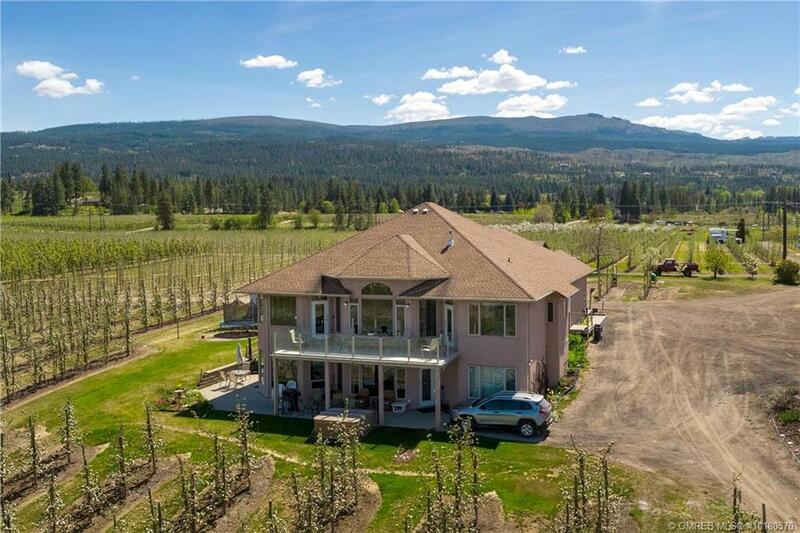 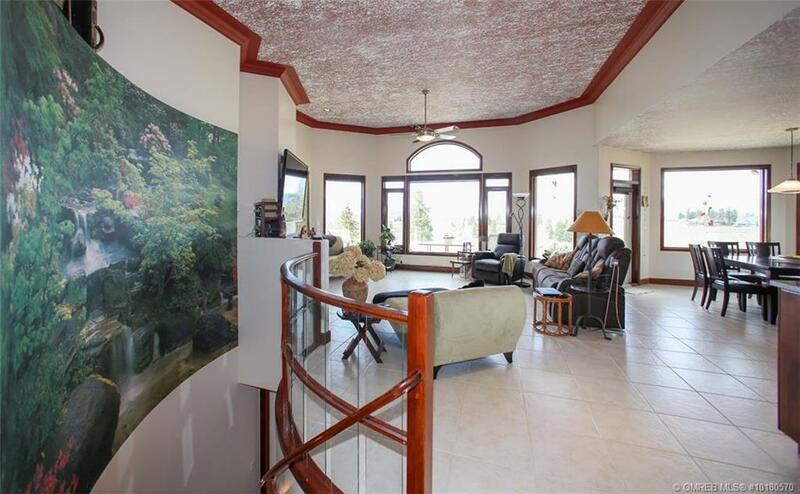 14.17 acre orchard estate with expansive pastoral, lake, city & mountain views in two titles* with an impressive main home and two additional farm help dwellings. 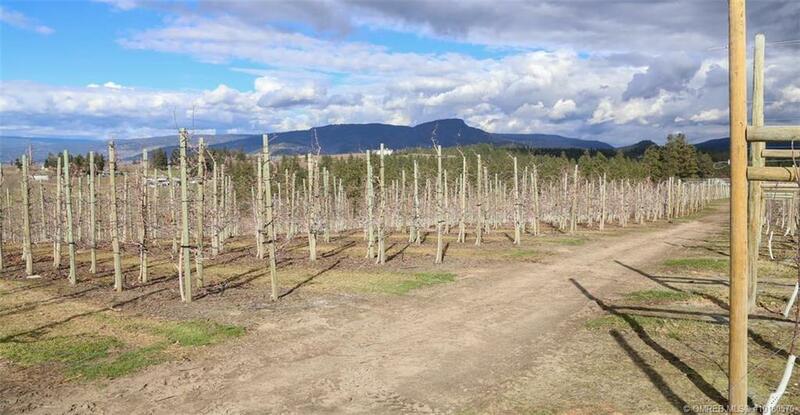 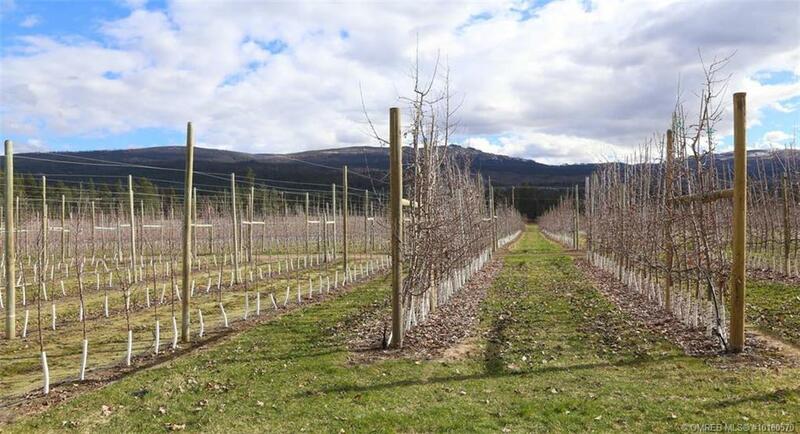 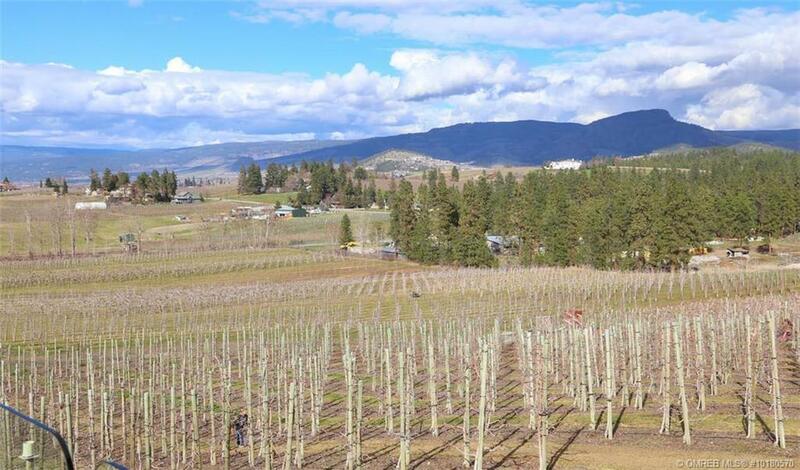 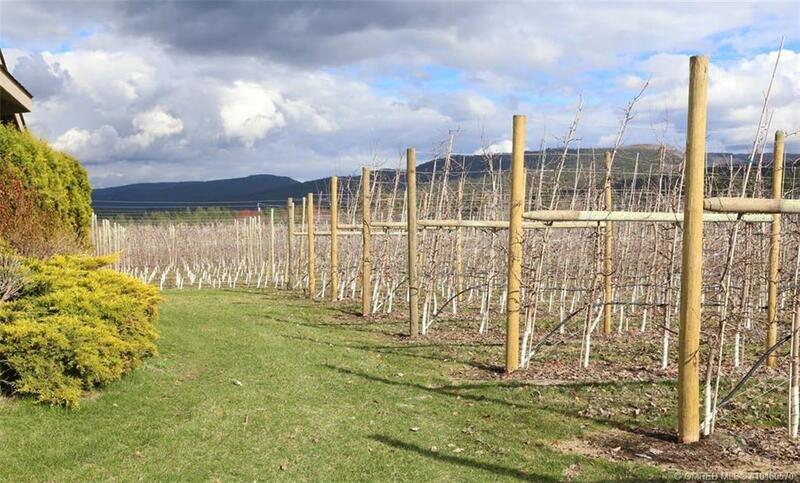 Turn-key meticulous farm comes with an complete equipment package & a productive apple orchard with modern varieties. 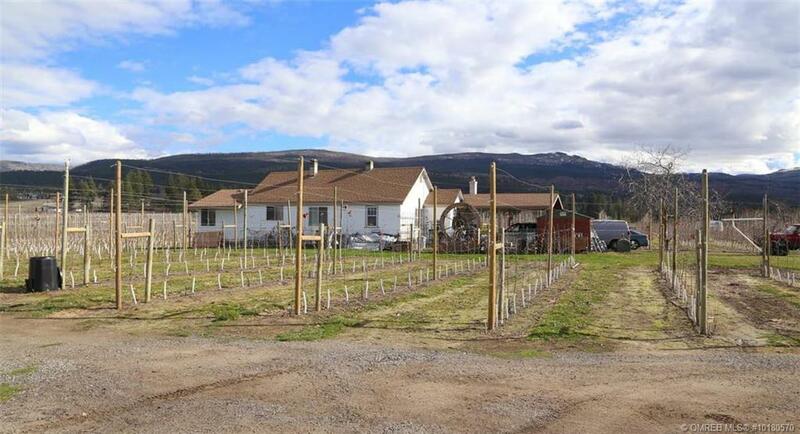 In 2018 the owners were awarded the prestigious Golden Apple Award. 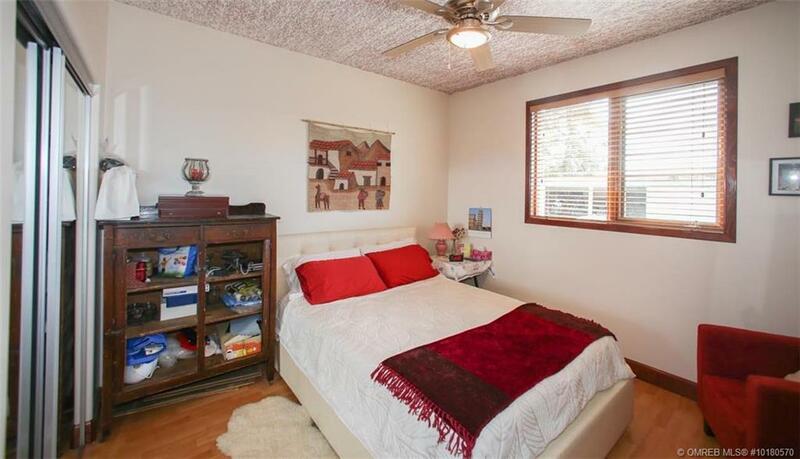 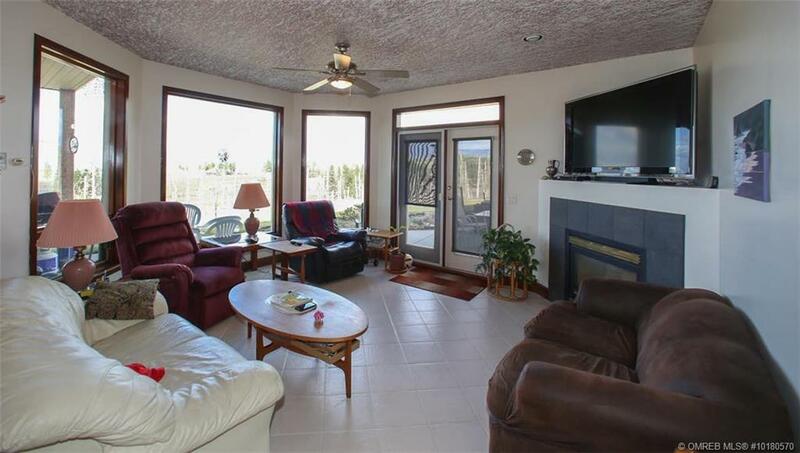 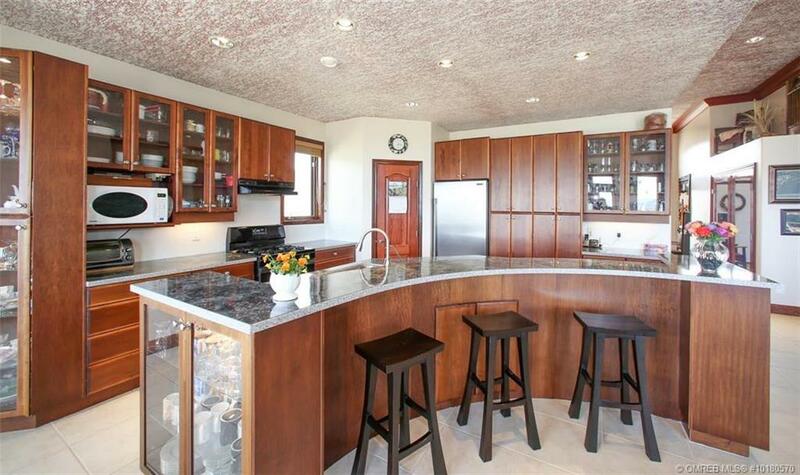 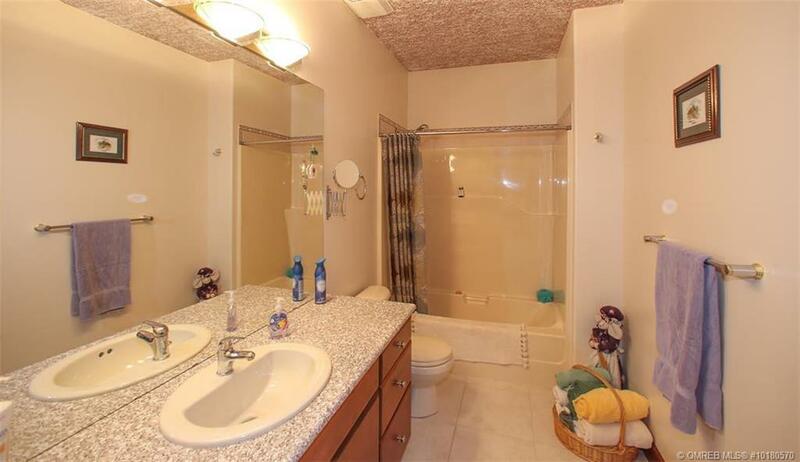 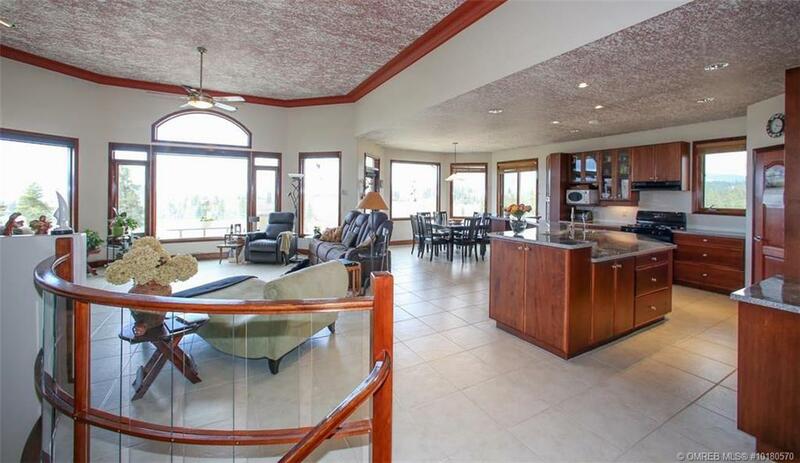 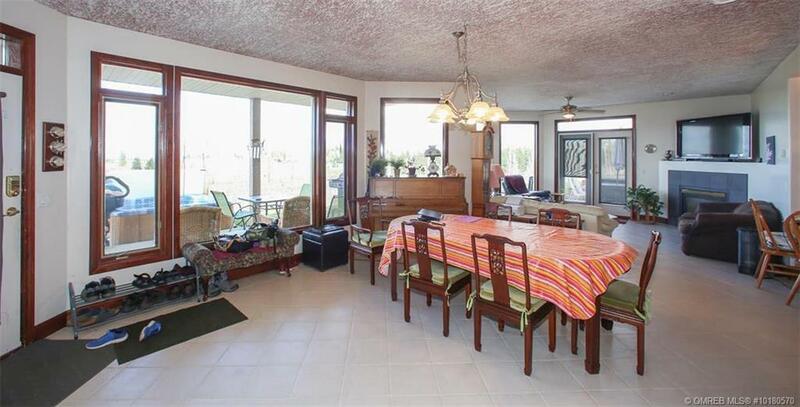 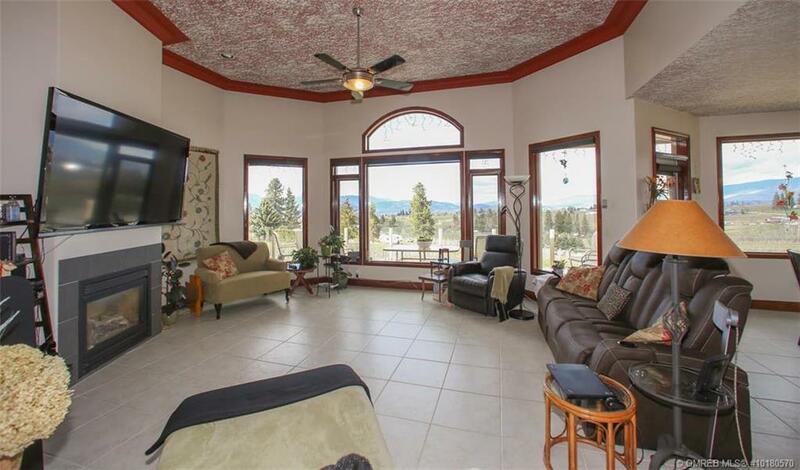 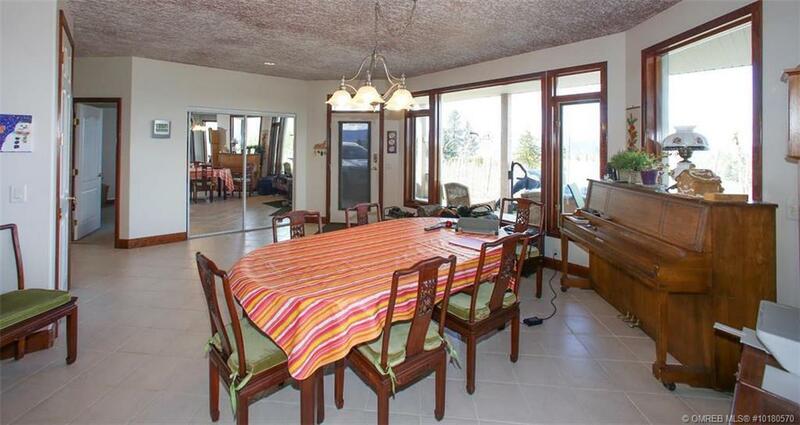 Walkout rancher home features approx. 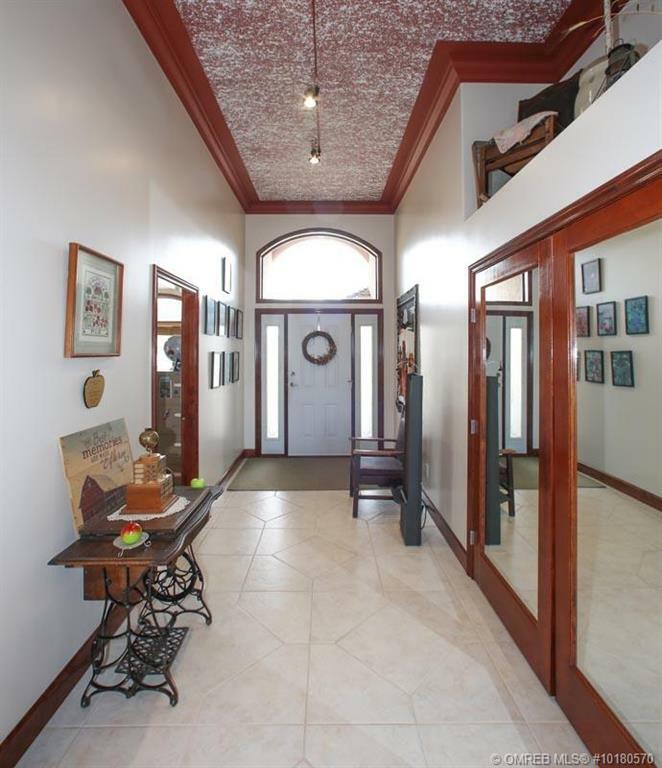 4400 sf, with soaring 12 & 9 foot ceilings and impressive glazing. 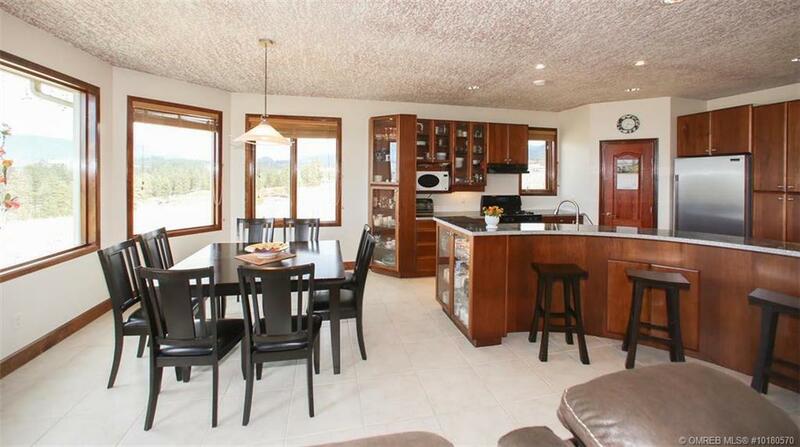 On the main, a chef’s kitchen and a full width deck to soak in the amazing views, two more beds, baths and a lux master with steam shower & soaker tub. 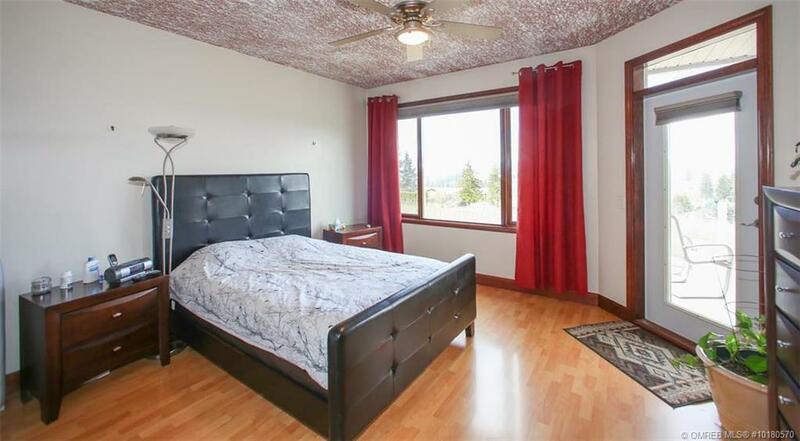 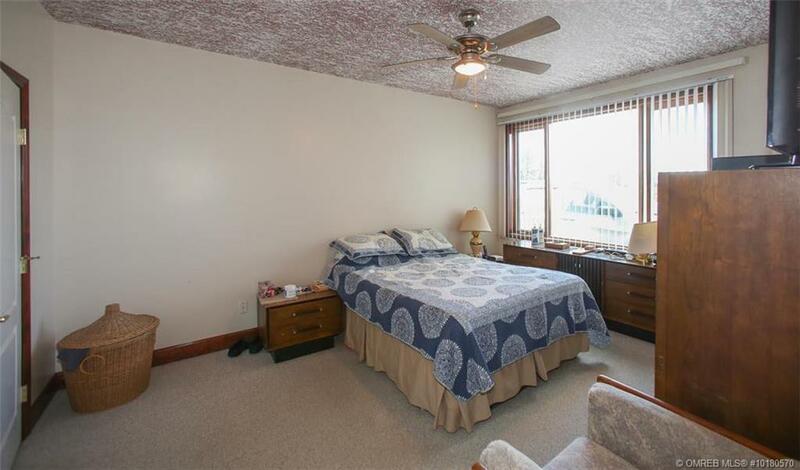 Full in-law suite down with 9’ ceilings, two beds & full bath. 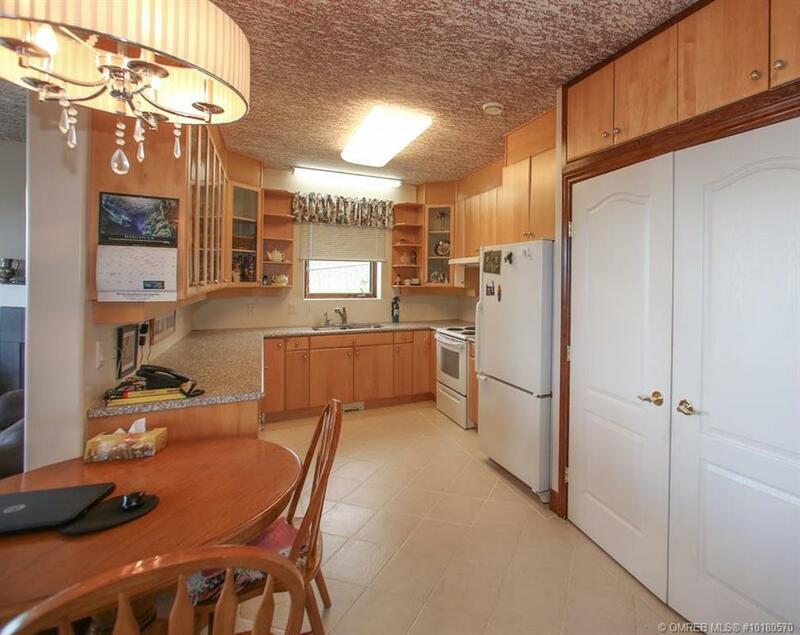 Quaint secondary home nearly 1600 sf and a ’75 mobile home with large deck. 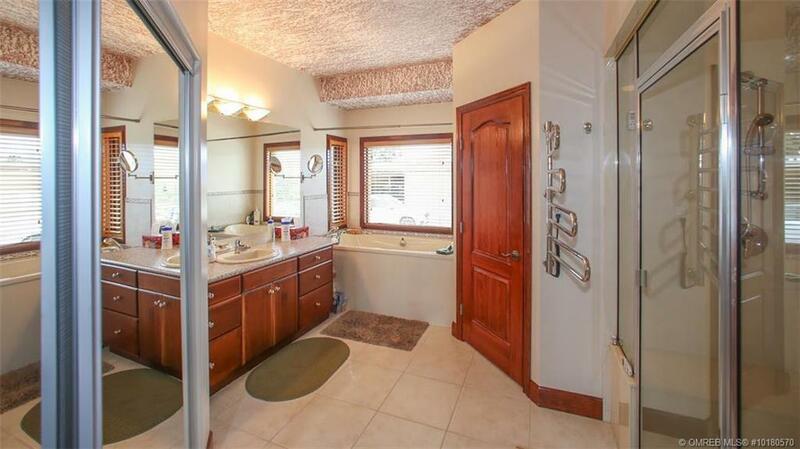 The 2000 +/- sf accessory has a full bath, wood shop & six bay shop, complete with power and RV hookup. 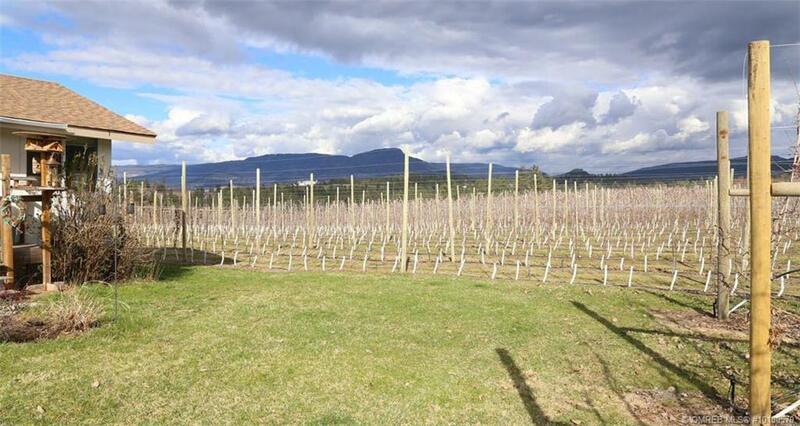 A clever storage blg for gas & diesel tanks with attached spray shed keeps things tidy. 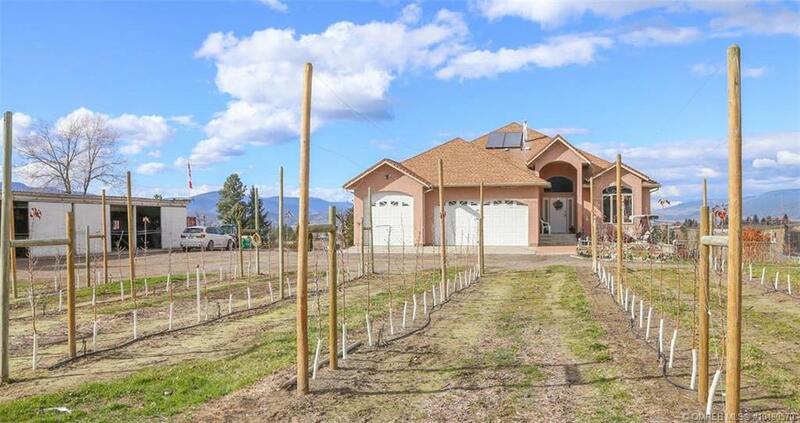 *(2nd title narrow with no road access bisects property).